Just clip it! 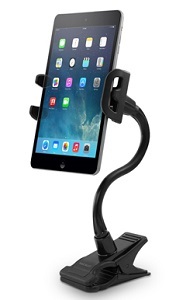 The Macally CLIPMOUNT is the ideal iPad/iPhone holder for any desk or table. Adjust the sturdy arm easily and securely in the desired position for optimal viewing.